You have an idea that you need to save money, but you may not have a purpose for your saving money. This the main reason you drop your saving habit in a mid-way. To keep yourself motivated you should set an achievable goal for your saving. For example, you want to save Rs. 10,000 in the next six months for a vacation trip with your friends, setting this kind of realistic goals keep you motivate and gives you something to work toward which help you to progress in your saving habit. If you have long term saving goals, you can reward yourself when you achieve a certain milestone in your savings. This helps you to keep yourself motivated and you can also track your progress in your saving plan. These rewards should be small and fun things like dinner at a nice restaurant or a picnic with friends in the park. Just make sure you don't burn all your savings while enjoying your reward. One of the effective ways to save money is to questioning all your expenses. Make sure your purchases are in line with the things you want in your life. Ask yourself whether your spending brings you happiness or make you nearer to your goals. If the thing is not important and not making you happy or not help then cut off that purchase. Be thoughtful while you spend your money on something. 4. Create a Budget for Your Savings. Without a plan you can't achieve anything, therefore create a budget for your monthly expenses and savings so that you can keep track of your expenses and savings. This will help you to avoid overspending and keep you accountable for your every expenditure. This will also help you to achieve your saving goal easily. One of the greatest ways to get into a saving habit is to automatically transfer the money from your checking account to your saving account. This can get you started saving money without any major effort. This will be even easier if you have your checking and saving accounts at the same bank as this will let you split your direct deposited paycheck. This automated method makes your saving money grow and work for your benefit. Most of us don't have control over our expenses. That’s the main reason we are not able to save money. If you really wish to cultivate a saving habit, you need to spend a lesser amount of money than you earn. It's important to pay attention to your spending and bring it in line with your earnings. To cultivate a saving mindset you need to abandon your spending mindset. According to research habitual actions and visible results help to develop a resilient habit. Seeing the improvement and accumulation in the savings make you understand your progress and also encourage you to continue. So make your savings visible to keep yourself motivated. Here we go. I shared seven steps from setting a realistic goal for your saving to keep your savings visible. 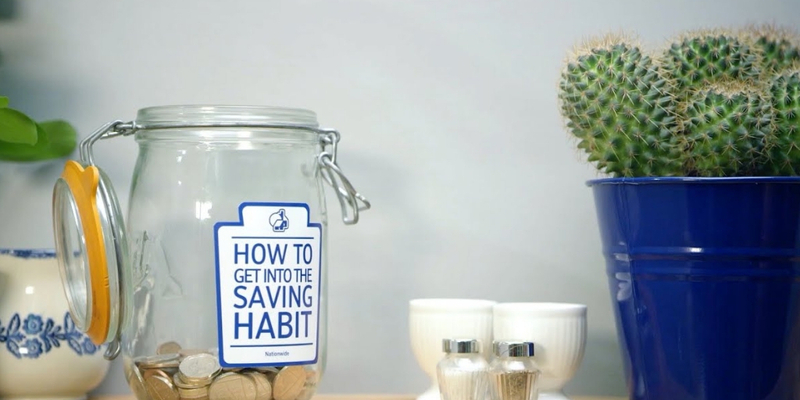 These steps keep you motivated and make it easy for you to cultivate a good saving habit. Do you find any of these steps work for you? If you already have a good saving habit, how do you keep yourself motivated to save? Guys, let me know your answers in the comments.